​You do not have to own a home to become insured. 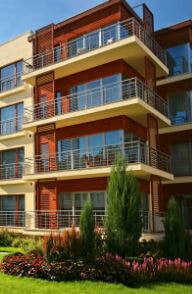 We also offer renters insurance for those living in a condominium or apartment. Some people wonder if they really need to insure their belongings if they are renting. We always encourage our clients to purchase a policy, since you never know when theft, damage or other losses may occur. Typically, this type of insurance covers the contents of a rental property, such as your personal items. Protecting your belongings can help you feel more secure, even if you don't think that anything you own has value.